Welcome to Knode Insurance agency located in Palisade, Colorado, famously known for its delicious sweet peaches and premium wines. 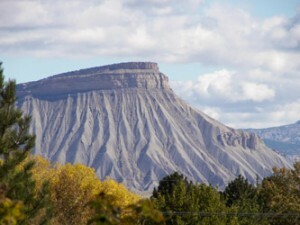 We provide western Colorado insurance plans for Palisade and the surrounding areas. We specialize in providing the best commercial and personal insurance policies and offer affordable insurance rates through the best qualified insurance companies. Knode & Associates, L.L.C. Insurance agency is a full service insurance agency. Representing over 30 reputable companies for Western Colorado and surrounding areas, we can provide you the best affordable rate at a competitive price. As an independent insurance agency with over 20 years of experience in the industry, we work hard for you and not the insurance companies. Our western Colorado insurance teams are committed to providing you with highly personalized support and complete insurance needs. Selecting the right insurance plan can be complex and intimidating, but our staff of experienced insurance agents can help you every step of the way. Below is a variety of insurance programs we specialize and can provide the best rates and savings. Auto Insurance quotes for your car, motorcycle, ATV, RV and more. Homeowners Insurance, protect your house and the things inside it. Boat & Other Toys, Insurance for your sailboat, power boat, houseboat or fishing boat. Work Comp quotes from leading insurance providers. Contractors Insurance, the best Contractor rates in Western Colorado. Bond Insurance quotes, Shop, Compare, & Save! Business Insurance, coverage to help protect your business and property. Life Insurance quote to fit your budget and protect your family. Health Insurance, feel to fit your health care coverage needs. Umbrella Insurance, add extra protection for the life’s unexpected events. Disability Insurance, protect your number one asset, your income! Copyright © 2019 Knode & Associates, L.L.C. Insurance Agency. All Rights Reserved.